The Federal Open Market Committee (FOMC) met this week for the second time under the chairmanship of Jerome Powell. In a unanimous decision, the Committee left the target range for the federal funds rate unchanged at 1-1/2 to 1-3/4 percent. 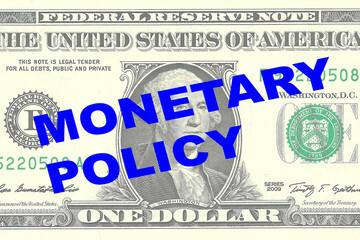 Unlike the Bank of Canada, which has a single objective of targeting inflation at roughly 2 percent, the Fed has a dual statutory mandate to both foster price stability and maximum employment. U.S. labour conditions remain strong, and the economy continues to grow at a moderate pace. Inflation has now moved to close to 2 percent. The growth of household spending has moderated from their strong fourth-quarter pace, although business fixed investment continued to grow rapidly. The yield on 10-year U.S. Treasury notes slipped slightly to 2.96 percent following the release of the statement, while the S&P 500 Index of U.S. stocks climbed to its highest level of the day and the Bloomberg Dollar Spot Index fell. Expectations are that the Fed will hike rates once again at the next meeting in June. The Fed signaled in March that they expect to raise rates three or four times this year. They hiked the target federal funds rate three times last year and began to gradually reduce their holdings of securities. The Bank of Canada will likely raise rates twice this year–probably in the summer and fall. As always, central bank policy will remain data dependent and will adjust with any significant changes in the economic backdrop. It is widely expected that the NAFTA negotiations will be satisfactorily completed in the near future, but that still remains a wildcard. Increased U.S. protectionist fervour is a significant negative for the global economy. Today, 1,100 U.S. economists signed a letter to President Trump warning him of the dangers of tariffs, reminding him that the 1930 Smoot-Hawley tariffs led to a sustained economic depression.